The DIREZZA DZ102 gives a balance between performance and style which delivers superior grip and braking ability. 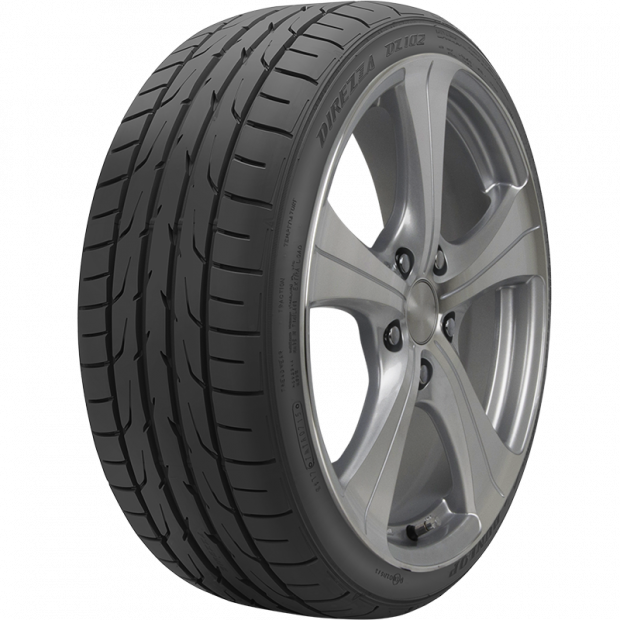 The DZ102 is a sports performance tyre providing the driver with higher responsiveness in dry and wet conditions, lower noise and an excellent ride. The tyre has a silica compound to assist in reducing rolling resistance which leads to improved fuel economy. Why Is Handling better with DIREZZA DZ102 Sports Performance Tyres? 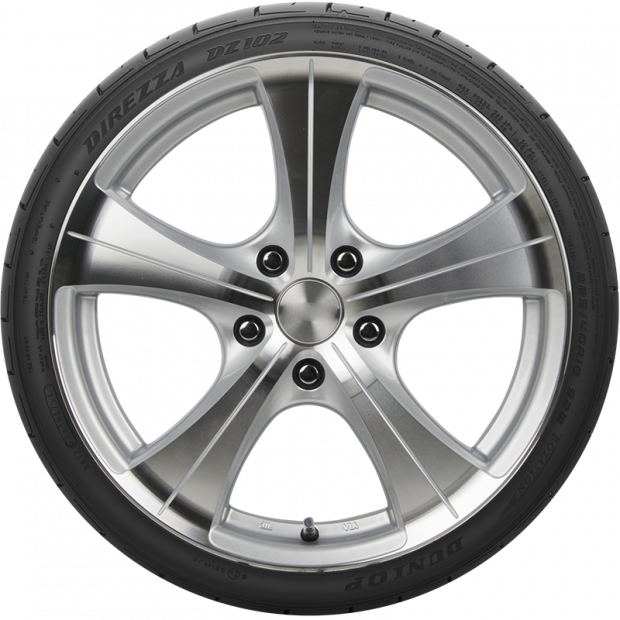 The improved handling comes down to the tread design of the DIREZZA DZ102. The tread design will not only improve handling when you are driving, but also reduce the chances of irregular tyre wear. In addition to better handling, the tread design also ensures that your ride is a lot more comfortable and it reduces the rolling resistance of the vehicle and can therefore provide you with better fuel economy. DIREZZA DZ102 tyres also have an enhanced trim, which contributes to your driving experience. The enhanced trim gives you more control in all types of weather conditions and more anti-hydroplaning abilities. Are There More Technologies Used In These Tyres? There sure are. The first one is the Jointless Band Technology, a technology that is actually quite commonly used in Dunlop passenger tyres. The Jointless Band Technology is mainly beneficial for people who often drive on highways, the Jointless Band Technology is designed to maintain the tyre’s performance at highway speeds. Long-lasting performance is also guaranteed with these particular passenger tyres. Dunlop has implemented deep lateral cuts and shoulder grooves, so that both appearance and performance are maximised for a long period of time. These tyres were also created with super abrasion carbon and silica compounds, which helps prevent irregular wear, but also reduces the noise level coming from your tyres. 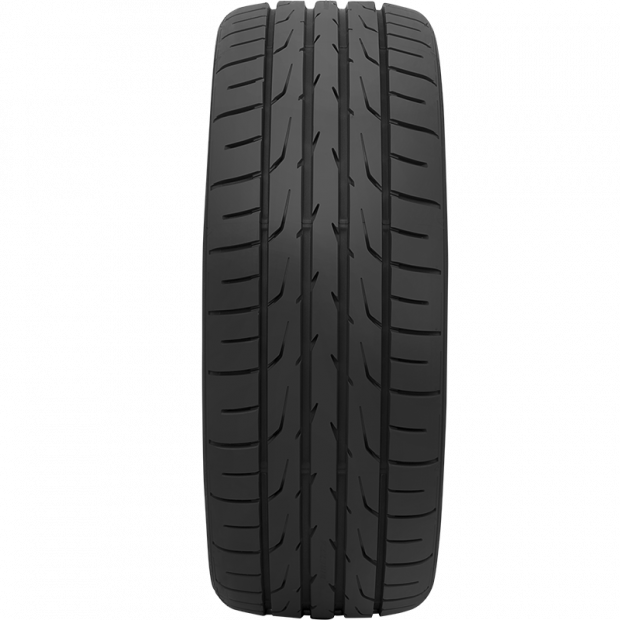 Are These Passenger Tyres Suitable For My Vehicle? To answer this question, we recommend going to our tyre search tool. On this tool you can enter the information of your vehicle and it will give you a list of tyres that were made with your vehicle in mind. What about the Load and Speed Indexes? For more information on the load and speed index of DIREZZA DZ102 passenger tyres, we gladly refer you to our tyre size table. A link to the tyre size table can be found in the product description. In the table you will find all available sizes for the DIREZZA DZ102 tyres, but also their respective load index, speed index and overall diameter. Please note that the load index, speed index and overall diameter may vary according to the size of the DIREZZA DZ102 tyres. In general, the load index of DIREZZA DZ102 tyres lies between 82 and 100, which means these tyres can handle 475 to 800 kilogram depending on the size of the tyre. The same goes for the speed index, which can vary from V to W, indicating a speed of 240 to 270 kilometres per hour. How Do I Obtain More Information On DIREZZA DZ102 Tyres? For more information on DIREZZA DZ102 tyres, simply fill in the enquiry form on the contact page. Customers can also call the Beaurepaires customer service line at 1800 809 514. 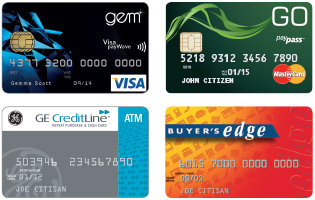 Alternatively, they can also contact their local Beaurepaires store by calling 13 23 81. When you have some spare time, and would not mind some face-to-face advice, do not hesitate to drop by at your local Beaurepaires store!